Parking on the Medical Campus and Central Campus is in short supply with respect to demand during peak times, resulting in patients, faculty, and staff not being able to park. Although several thousand employees park in remote locations, walk, or utilize alternative transportation each day, additional parking is critical for patient satisfaction, efficient operations, and retention of faculty and staff. To provide additional parking capacity, the university plans the construction of a 7-level, 1,080-space parking structure on Wall Street to be built over an existing 130-space surface parking lot. 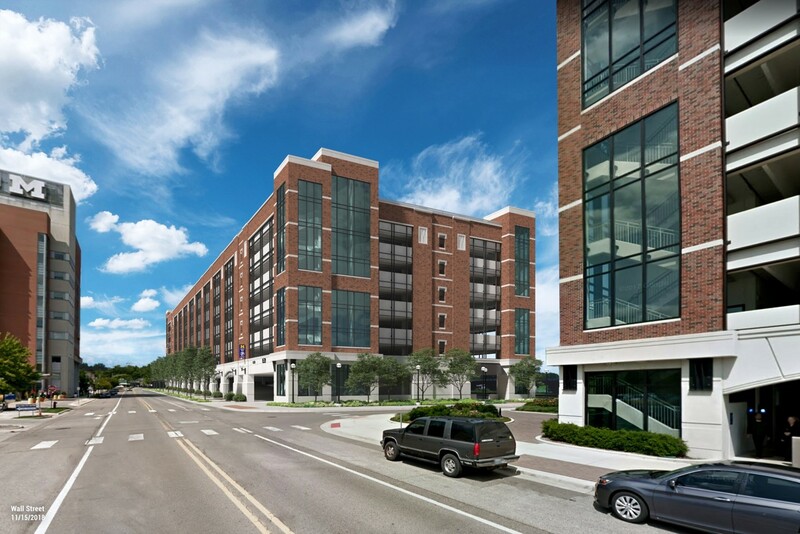 Although this will allow a net gain of 950 parking spaces due to this project, U-M also needs to prepare for the potential loss of 250 parking spaces owned by the City of Ann Arbor and leased by the university on Fuller Road where the new Amtrak train station is proposed to be built.